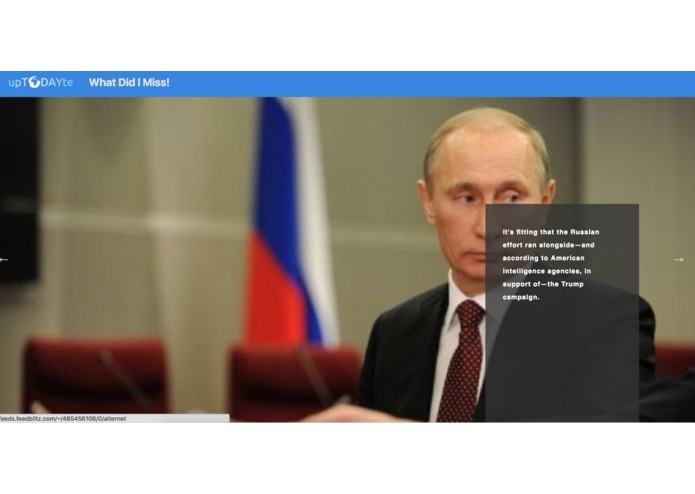 Uptodayte is a news aggregation and visualization tool that collects relevant news articles. Uptodayte was designed with usability and user intuition in mind. We believe that visualizing data through its properties leads to a far better understanding of the overall picture than a crude listing, and this is exactly the vision behind Uptodayte. For these reasons, we believe Uptodayte is usable right out of the box without instructions. 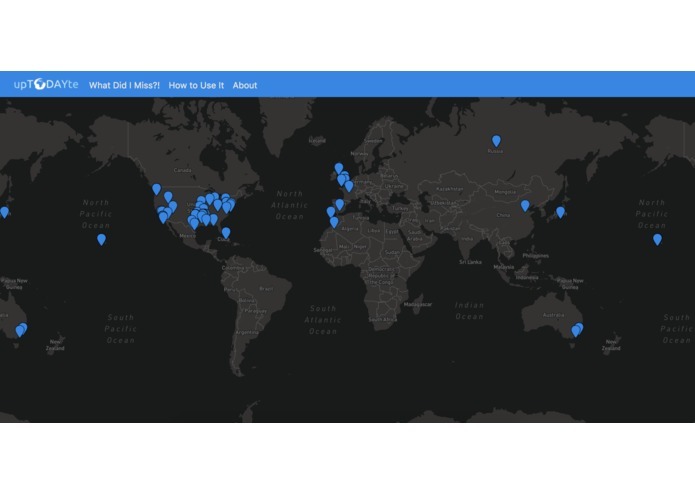 We built it using a flask backend and mapbox.js which provides the map visualization. We used NewsAPI to search for news that took place within 24 hours and preprocessed that data and converted it to json. We also using sumy, a module that provides automatic summarization of articles to generate summaries of news articles that were displayed in our app. We initially had trouble setting up the map visualization on our web app and also adding in makers for specific locations. We also had some trouble deploying our web app. It worked! We put alot of effort into it and we felt that it came out pretty well. We learned alot of building web applications using Flask and also using cool map visualizations such as mapbox.js. We also learned about deploying web apps. Integrating a personalized news feed to the user. Based on their tweets/instagram post/facebook post, we filter the news based things that they like.